SIPTU nursing representatives met with the HSE today on the measures required to advance the pay and conditions of employment of our nursing and midwifery members, having regard to the Public Service Stability Agreement (PSSA). 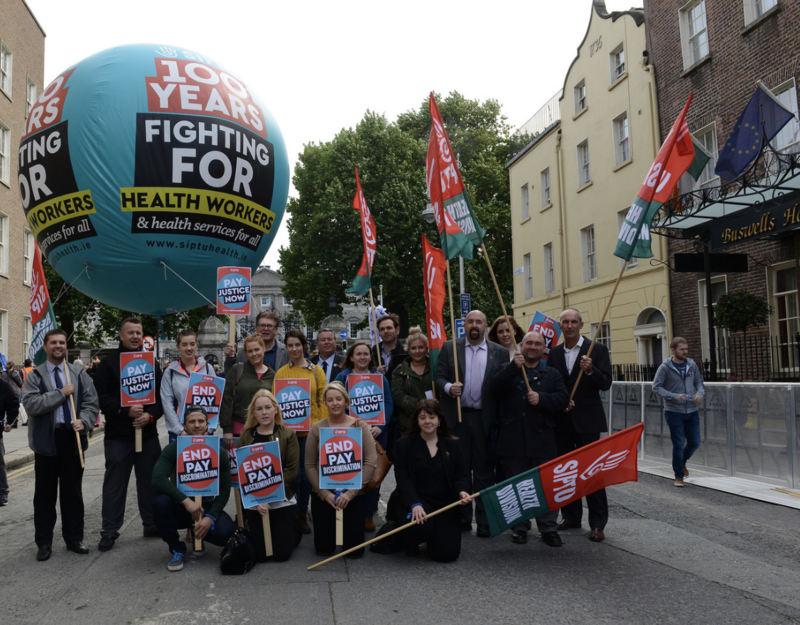 SIPTU representatives urged the health service employers to consider the recommendation of the Public Service Pay Commission that the parties to the PSSA should examine the adequacy of current pay arrangements and should do so as a matter of urgency. SIPTU fully supports the right of all workers to fight for better pay and conditions in the most effective manner as determined by union members.